Cheryse McLeod Lewis is a classically-trained professional singer & Broadway performer based in Kirkland, WA. She has performed professionally with Seattle Opera, Connecticut Opera, Pittsburgh Opera, Greensboro Opera, Opera Carolina, Asheville Lyric Opera, Vashon Opera, Long Leaf Opera, and Houston Ebony Opera. In addition to her opera experience, Cheryse also performed on the 1st National Broadway Tour of The Gershwins' Porgy and Bess during the 2013-2014 season. Most recently, Cheryse sang the National Anthem & God Bless America at the Seattle Mariners major league baseball game televised on Root Sports Network. 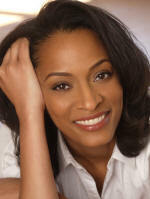 She is also a professional model, actor, and voiceover artist. Cheryse is a graduate of Carnegie Mellon University (Bachelor of Fine Arts in Voice Performance), The University of North Carolina at Greensboro (Master of Music in Voice Performance), and The North Carolina School of the Arts (Professional Artist Certificate, A.J. Fletcher Opera Institute). She credits her love of music and singing to early exposure to the Arts by her mother and views her ability to sing and perform as a gift from God for which she is truly thankful. Blessed to have a professional performance career, Cheryse is also privileged to share her gift of music through teaching private voice lessons that help people discover the joy of singing and develop a strong, healthy vocal technique. In addition to teaching students in her private voice studio, Ms. Lewis has served on the voice faculties at Valencia College (Orlando, FL), Seminole State College (Sanford, FL), and Winston-Salem State University (Winston-Salem, NC). For additional information about Cheryse's performing credits and current engagement schedule, please visit www.CheryseMusic.com. Cheryse also recently released her debut solo CD entitled Spirituals. Listen, download or purchase at CDBaby.com.